Here is the female spinner of the tiny Acentrella turbida. You can see the coloration is quite different from the male. 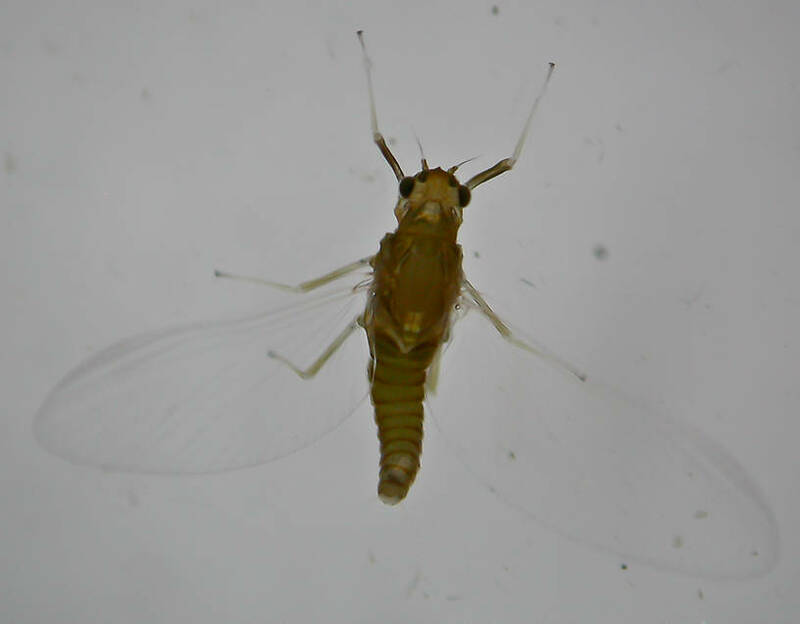 This mayfly was collected from the Touchet River on July 27th, 2011 and added to Troutnut.com on July 29th, 2011.